24% of students weren’t familiar with some big brands names. Students are in nature, generally early adopters. The power behind this statement is delivered by them experiencing a milestone in their life, that being a true and real taste of independence. For many students the first moments at University allows or even forces them to make their own choices, they decide to what they think, what they do and more importantly for brands, what they buy or who they invest their time with. They are now, for the most part, outside the protection and constraints of their parents or guardians. With this new found independence, they try the new, they experiment and open their horizons to what the world has to offer. They are also seeking and gaining emotional securities in brands, that will build their own identity as they journey through university life and beyond. This really is a key milestone in an individual’s life where old brand alliances formed during their childhood can and do change. 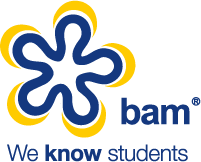 BAM conduct Freshers Fair research every year. An astonishing key discovery was that close to a ¼ of students who attended the Freshers Fairs were not familiar with some of the big student brand names. Of these students, over 1/2 stated they would go on and purchase from these brands after seeing them at the Freshers Fair, a result gained from purely interacting with the brands during the Freshers events. The power of Freshers Fairs as a channel to advertise to students is indisputable.